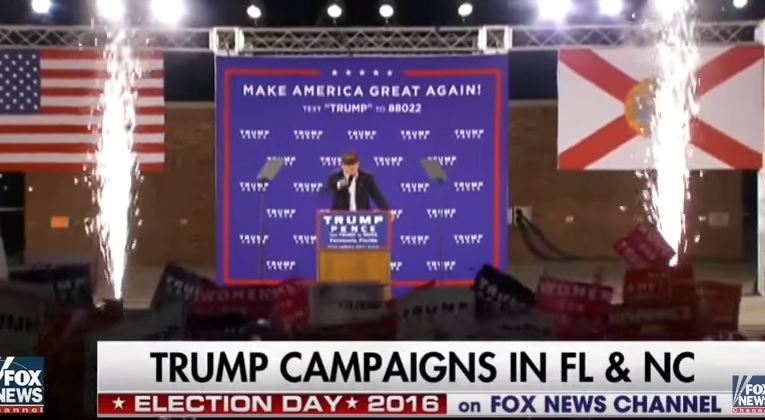 Trump set off pyrotechnic display last night in Florida. He also talked to himself during his rally. He said Hillary is totally unhinged. We gotta stay nice and cool. Stay on point, Donald. Stay on point. No sidetracks, Donald. Nice and easy, nice… Cuz I’ve been watching Hillary the last few days. She’s totally unhinged. We don’t want any of that.